If you suspect you baby has a dairy allergy, as a nursing mother you are faced with two options: switching to an infant formula or avoiding dairy yourself while nursing. Because both your and your infant's nutritional needs must be met by the your diet, the nutrients from dairy must be replaced from other food sources to ensure good health for you and your baby. 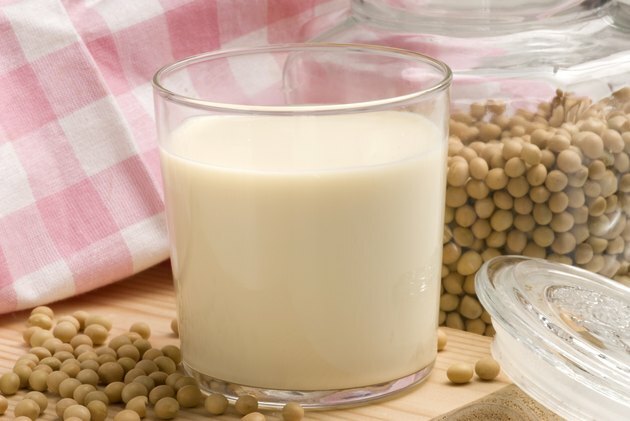 When dairy is eliminated from your diet, soy products are common replacement options. Soy milks, cheeses, yogurts and ice creams typically do not contain casein or whey, the two allergenic protein parts of dairy milk and cheese. If soy avoidance is recommended as well, rice products can replace dairy. Rice-based cheeses, however, may contain small amounts of milk proteins, so if you are breast-feeding you must check ingredient lists carefully for casein or whey. 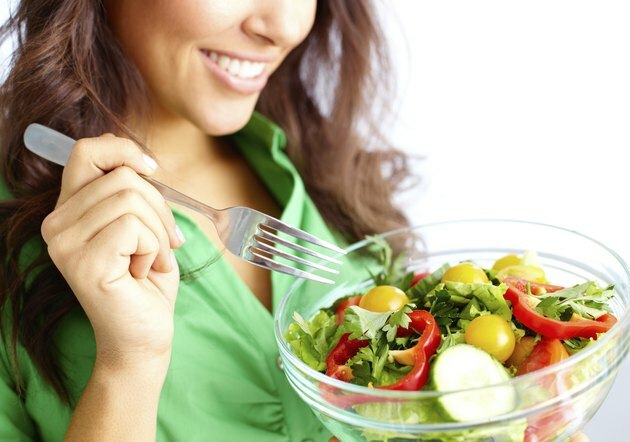 With attention to food intake, dairy-free diets can meet nutritional needs at least as well as diets that include dairy. Important vitamins like D from fortified dairy products are also added to soy products; vitamins B and C can be obtained from green vegetables and citrus fruits. Extra calcium intake from almonds, figs, spinach and some fish is essential for your baby's growth and for your own bone health. Whole grains and beans or nuts ensure proper levels of zinc and phosphorus as well. In addition to avoiding milk, yogurt, cheese and ice cream, if you are breast-feeding you must avoid hidden sources of dairy. 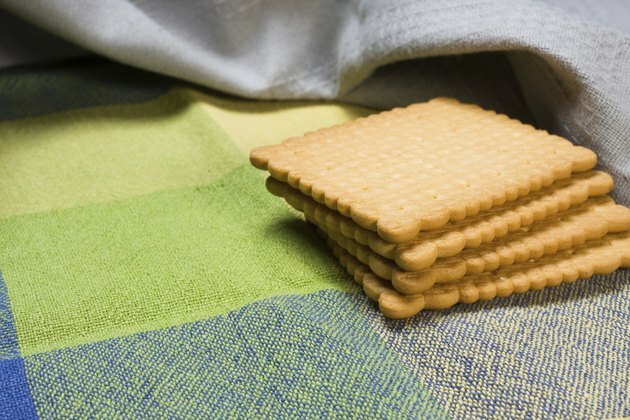 Casein and whey can be found in processed snacks, such as cookies and crackers; in baked and frozen pasta meals; and in granola bars, cereals and many more grocery items. Contamination of non-dairy items, such as deli-sliced meats, that come in contact with dairy products, such as sliced cheeses, may cause an allergic reaction in extremely sensitive infants. According to FamilyEducation.com, breast-feeding mothers require, on average, an extra 500 calories each day to provide the body energy to nurse an infant and an extra 15 grams of protein each day for adequate nutrition of mom and baby. Removing dairy from the diet takes away calories, fats and protein from both people. Protein stores can be met by increasing your intake of tofu and soy products and of nuts and beans. 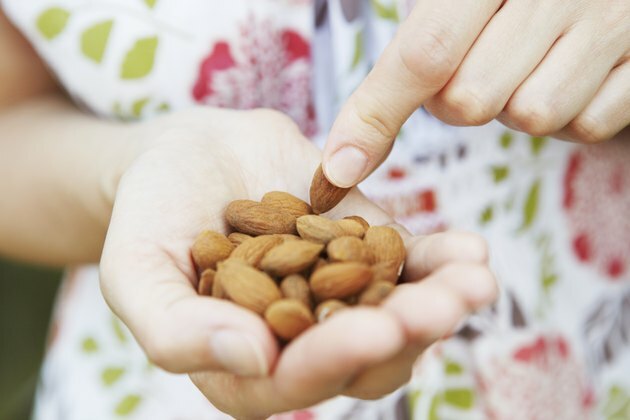 Nuts provide fatty calories as well. Eating a well-rounded diet with at least five servings of fruits and vegetables will help you stay healthy while breast-feeding on a dairy-free diet.